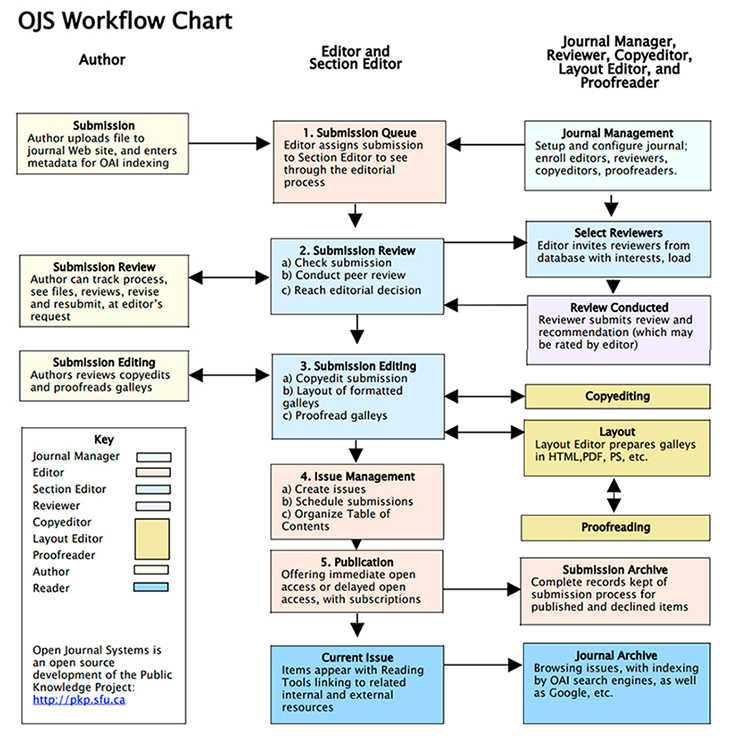 The Journal uses Open Journals Systems (OJS) 2.4.5.0, an online journal management and publishing platform, supported and freely distributed by the Public Knowledge Project. The Editor oversees entire editorial and publishing process. Via the editorial process, the Editor assigns submissions to the Section Editors to see through the submission’s review. All submitted papers are first reviewed by the assigned Section Editor and evaluated for the quality of writing and appropriateness for publication in the Journal. It is rare, but it is entirely feasible for an exceptional manuscript to be accepted at this stage. Those rejected at this stage are insufficiently original, have serious scientific flaws, have poor grammar or English language, or are outside the aims and scope of the journal. Those passing the initial screening of the assigned Editor are passed on to at least two experts for review. TeMA employs double or triple blind review, where the referees and author remains anonymous throughout the process. The Referees are matched to the articles according to their specific expertise in the scientific filed explored by the article Our database is constantly being updated. The practice of peer review is to ensure that good science is published. The article is examined by Referees in 5-6 weeks. The final decision is made by the Section Editor and is based on the comments and suggestions provided by the Referees. The decision is sent to the Author(s) along with any recommendations and verbatim comments made by the Referees. Decision choices include: i) Accept submission: The submission will be accepted without revisions; ii) Revisions required: The submission will be accepted after minor changes have been made; iii) Resubmit for review: The submission needs to be re-worked, but with significant changes, may be accepted. It will require a second round of review, however; iv) Decline submission: The submission will not be published with the journal. Once the submission is accepted, it enters the copyediting stage to improve grammar and clarity and to ensure strict adherence to the journal’s bibliographic and textual style. After this stage, the submission enter in the layout-editing stage where it is paginated and converted to HTML and PDF. Then the article is subjected to a phase of proofreading aimed at recording and correcting any typographic and formatting errors. Once this stage is ultimate, the submission is ready to be published in the upcoming issue of the Journal.